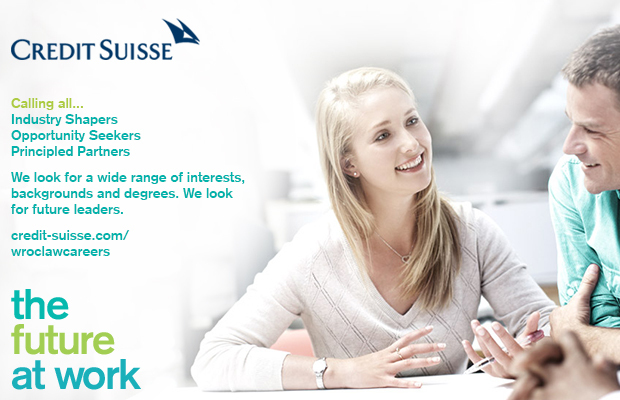 Credit Suisse is one of the world’s premier banks, with a successful business, a rich history, a diverse culture and a commitment to help you build your career. We offer clients a 159-year private banking heritage, combined with the power and presence of a global investment bank. We continually look ahead, which is why we have been among the most advanced banks in adapting to and shaping the new financial industry regulations. This is an opportune time to build our bank’s future success, and your own.